Usually, architects avoid creating a building full of cracks. 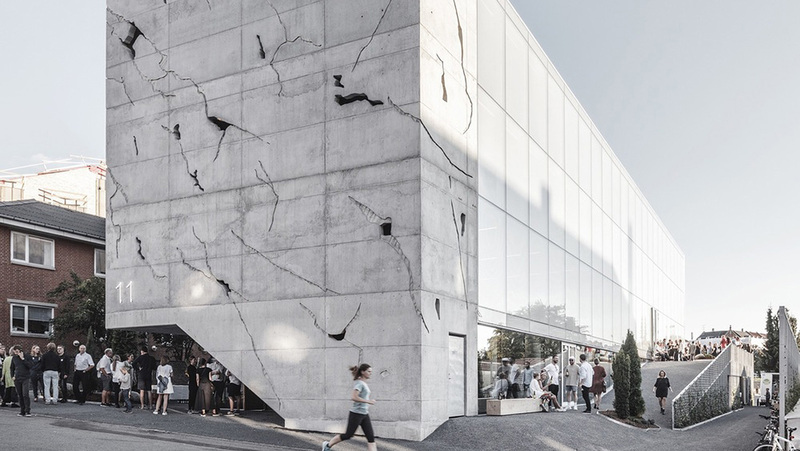 But the beautiful concrete facade of this mixed-use building in Aarhus, Denmark was built with intentional imperfections. 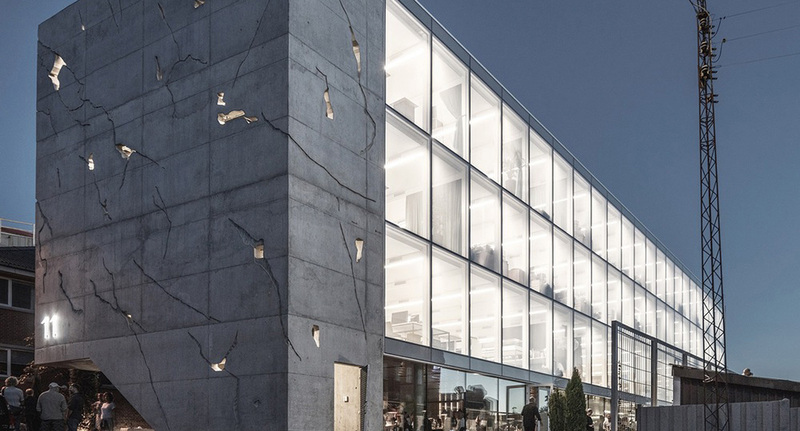 Copenhagen-based architecture studio Sleth designed the building with a facade of cracked concrete that provides a glimpse of the illuminated interior and references the industrial history of the city’s Sonnesgade district. The Sonnesgade building, realized by the architects as a design-build project, revitalizes an existing industrial construction and consists of three stacked layers of long office floors. It was designed to reflect its surroundings and the transformation of the old freight terminal area into a lively cultural district. It facilitates interaction between the floors, with open-plan areas and flexible office spaces. Storage and parking areas are tucked away underneath the landscaping. A sloped asphalt terrain surrounding the building forms outdoor areas for terraces, bikes and gardens, which grounds the project in the existing urban context. Thanks to its role in the rejuvenation of the area and the building’s expressive design, the project was nominated for the Architecture Award Mies Van der Rohe 2017. 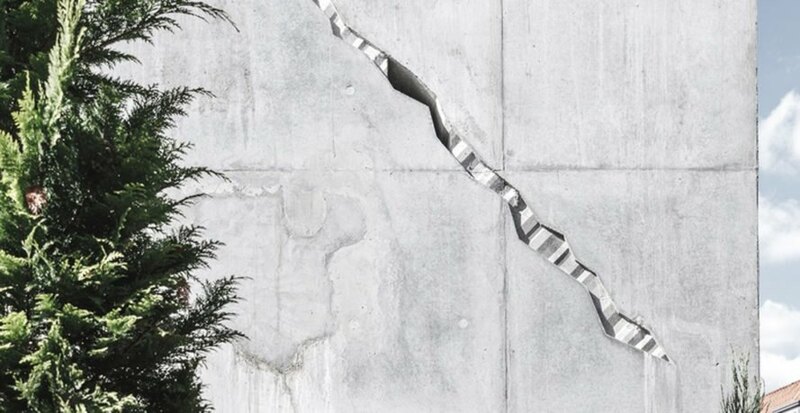 Usually, architects are trying to avoid creating a building full of cracks. 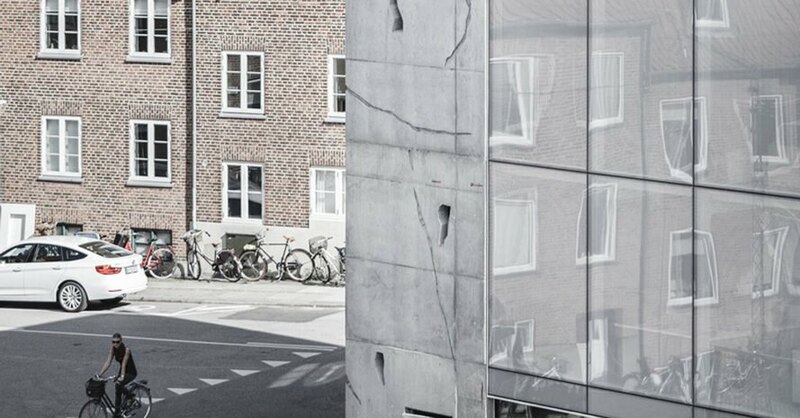 But the beautiful concrete facade of this mixed-use building in Aarhus, Denmark was built with them intentionally. Copenhagen-based architecture studio Sleth designed the building with a facade full of cracks that provide a glimpses of the building's illuminated interior and references the industrial history of the city's Sonnesgade district. 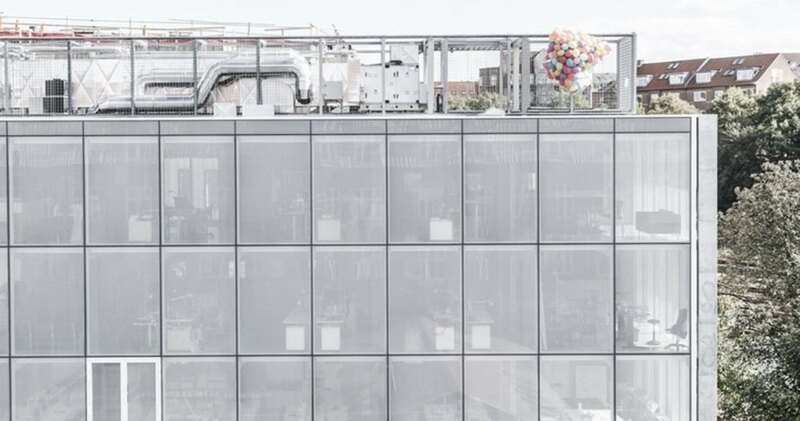 The Sonnesgade building, realized by the architects as a design-build project, revitalizes an existing industrial construction and consists of three stacked layers of long office floors. It facilitates interaction between the floors, with open-plan areas and flexible office spaces. Storage and parking areas are tucked away underneath the landscaping. 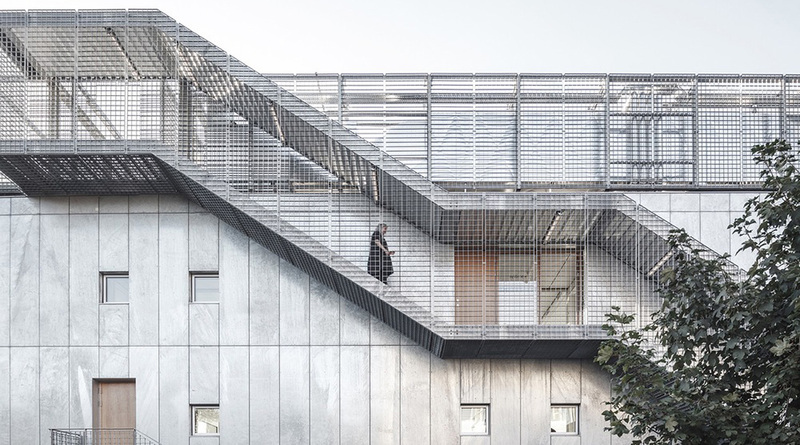 A sloped asphalt terrain surrounding the building forms outdoor areas for terraces, bikes and gardens, which grounds the project in the existing urban context. 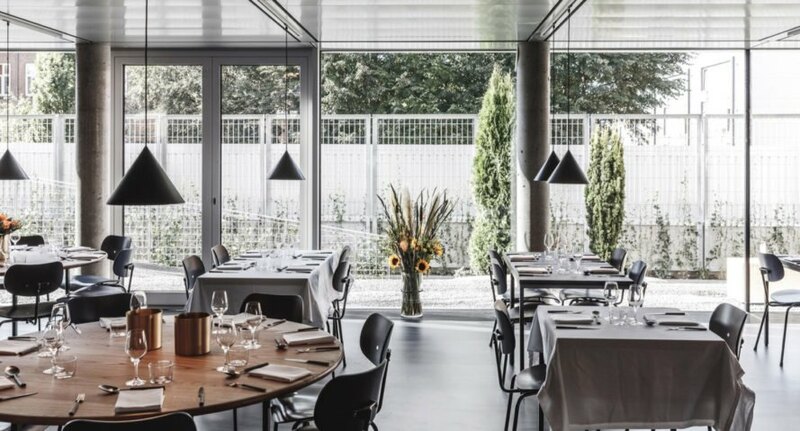 Thanks to its role in the rejuvenation of the area and the building's expressive design, the project was nominated for the Architecture Award Mies Van der Rohe 2017. Usually, architects avoid creating a building full of cracks. But the beautiful concrete facade of this mixed-use building in Aarhus, Denmark was built with intentional imperfections. 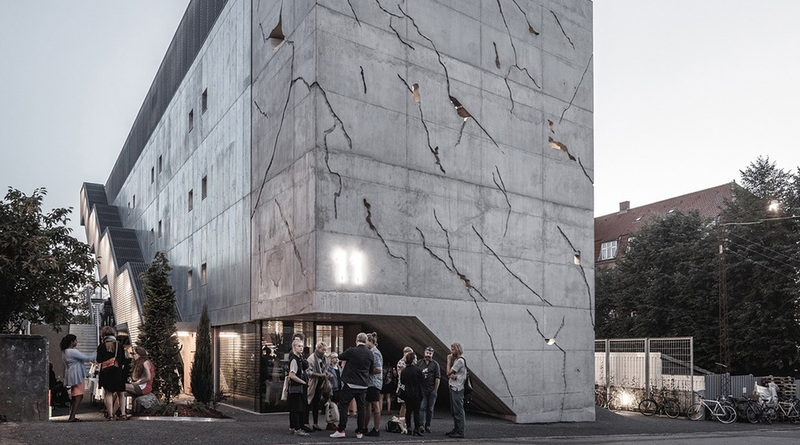 Copenhagen-based architecture studio Sleth designed the building with a facade of cracked concrete that provides a glimpse of the illuminated interior and references the industrial history of the city's Sonnesgade district.